Input the camera’s user name default is admin,password is admin to log in the webpage of the camera,if you have changed the user name and password,please input the correct user name and password that you have changed. Log in view the video on the webpage,click the options button to log in the background of the camera. 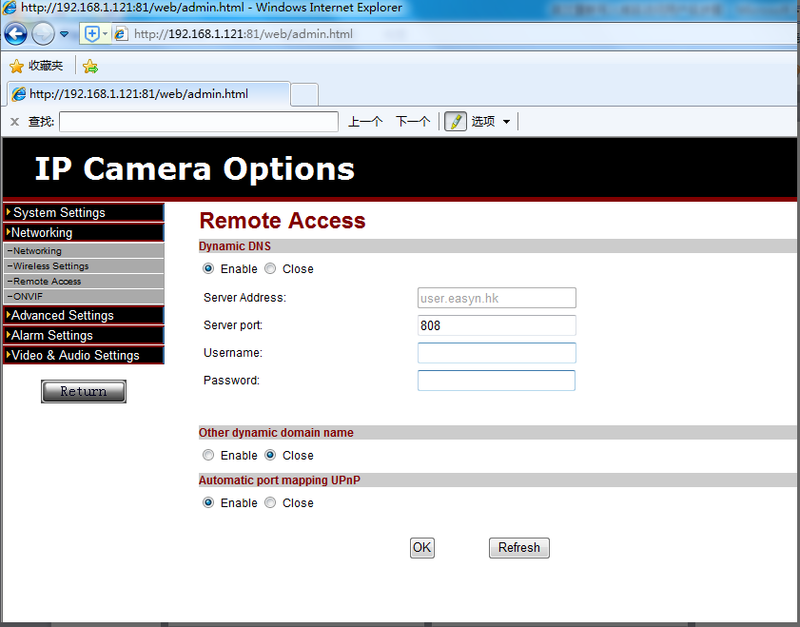 It will show the Outer access like this http://sqfg0dbv.easyn.hk,it’s DDNS address as well. NOTE:If you no need to use DDNS access your camera remotely,please Click “Close”button or change the password of your camera usually for security, this password is your camera’s password,you can click Advanced Settings-user manage to find it,it’s not the DDNS password. When you have finished all settings,please power off your router and reboot it.